Is it time your tree got some new duds? 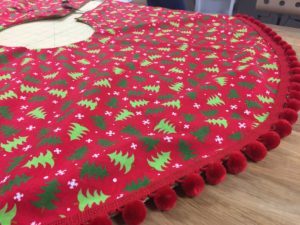 This Christmas tree skirt is fully lined, a snap to make and can be customized with any name or phrase you would like. 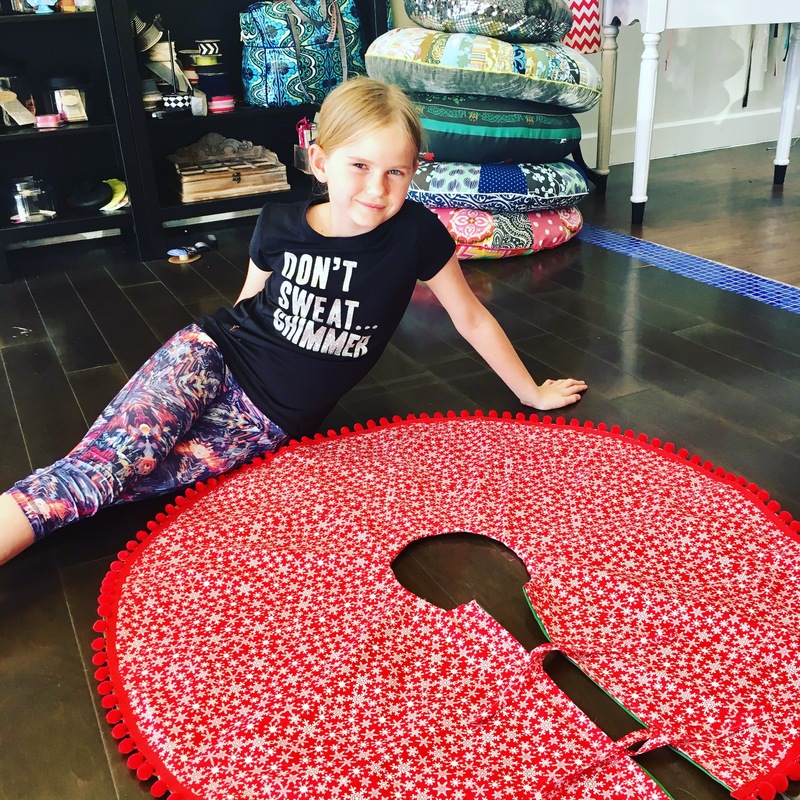 Great for a party or mother/daughter class. You can keep it simple with a great fabric, or dress it up with ruffles or pompoms. Break out the eggnog and hit play on the Christmas playlist, we are ringing in the holidays!